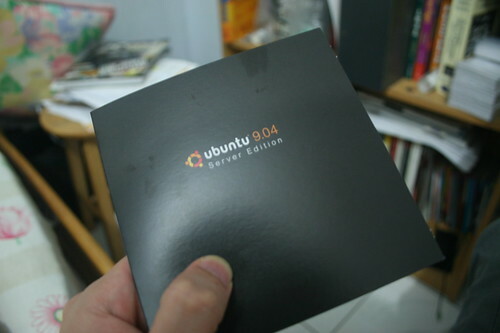 Got my free Ubuntu 9.04 Server Edition CD in my mail box just now. I made the free CD request 4 weeks ago and finally they delivered the CD to my house today. For those who does not know Ubuntu, “Ubuntu is a community developed, Linux-based operating system that is perfect for laptops, desktops and servers. It contains all the applications you need – a web browser, presentation, document and spreadsheet software, instant messaging and much more.”. Ubuntu can be downloaded for free at Ubuntu website. 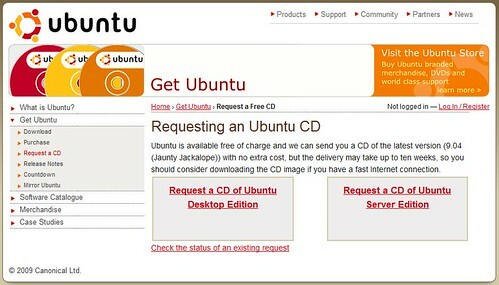 You can even ask them to deliver the Ubuntu CD to you for free. The operating system is free, the CD is free and the shipment is free too! How nice. Please note that the delivery may take up to ten weeks, so be patient to wait for the free CD.